This was taken on a particularly clear night in the early morning, I don't often persist this late it paid off! 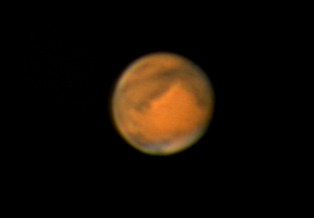 Two barlows were used (Moonfish 2" 2x ED and standard Meade 1.25" 2x) and no filters (not even IR for the webcam). Manual guiding.